The photograph that Ingred contributed reminds me of a sign here in Commerce, TX. 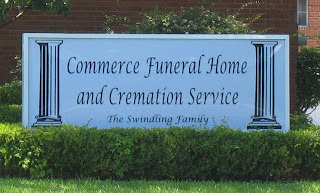 It's for a new funeral home run by the Swindling family. Make sure your loved ones are safe in the ground before paying the bill.